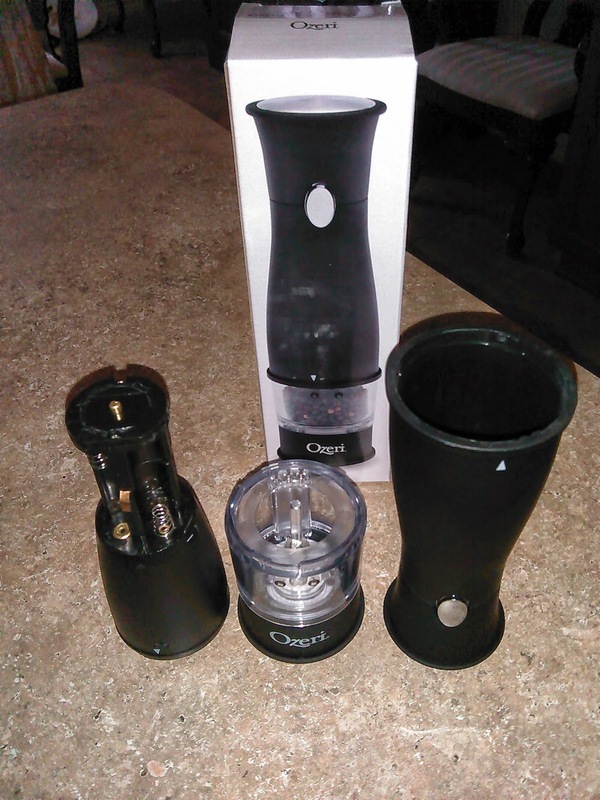 Ozeri makes such a nice variety of products. Here is the latest product that they were kind enough to offer me in exchange for my honest review. 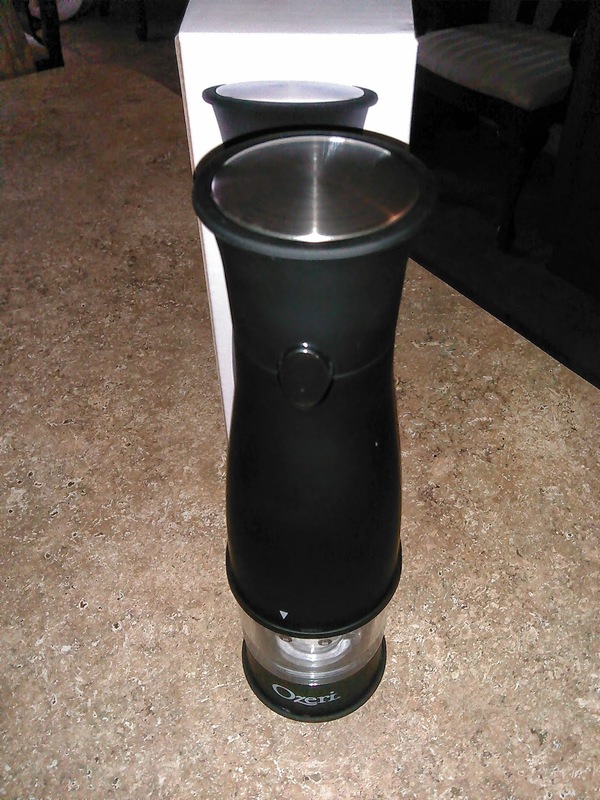 It is the Artesio Soft Touch Electric Pepper Mill and Grinder! The name Artesio just sounds cool, right? This pepper grinder is the best! Not only does it look really nice, but it is also very easy to take apart, fill with anything you want to fill it with---pepper, spices, salt, etc., and extremely easy to use. It works great! I really do like that you can control how coarse or fine you would like whatever your grinding to be. It's very simple to adjust to your liking. The light is tiny but bright and ideal for dimly lit rooms. Perhaps this is good for date night??? A candlelight dinner? Hmmm? Sounds romantic. Maybe the power goes out when you're having dinner and you really want to season your food??? Haha, I'm only joking, but maybe. I have been finding any excuse to use my pepper mill/grinder. I have peppercorns in it right now but I wouldn't mind putting some coarse sea salt or maybe crushed red pepper? Would that work? I'm sure I can find some spice to use inside of it. Maybe I need to buy a few to have a variety of things I can use while cooking. 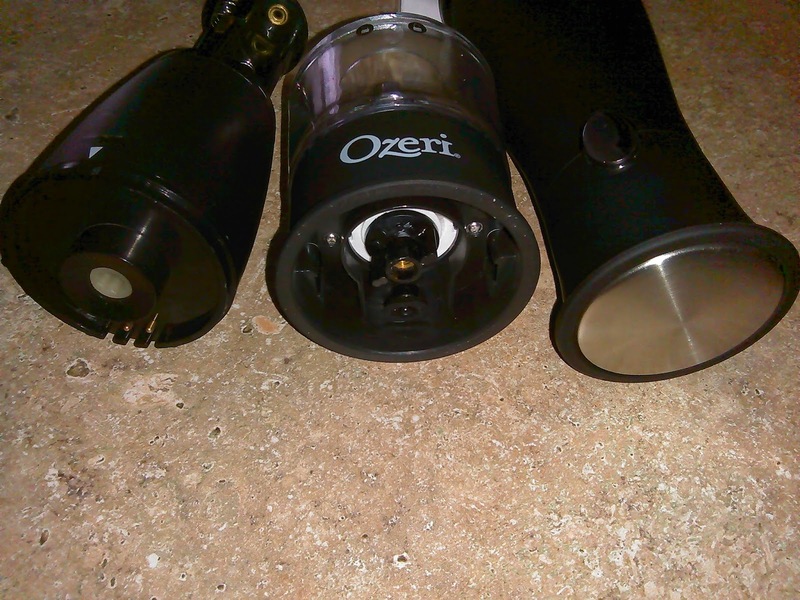 To the people at Ozeri---I just want to thank you for making my kitchen look more modern with all of your awesome appliances and cookware that I have been allowed to review and I definitely look forward to reviewing more! Also, if you ever have ANY questions about their products--their customer service is wonderful.